LONG BEACH, CA (Laserfiche) Dec. 29, 2008—Laserfiche® today announced that it will feature a strong lineup of guest speakers from the financial services industry for its Laserfiche Institute Conference on January 12-14, 2009, at the Hilton Los Angeles Airport. The conference will provide participants with a variety of sessions and technology resources geared toward improving productivity during this challenging economy. The conference will also feature various sessions and exhibits to help educate financial advisors on the latest Laserfiche technology, including Laserfiche 8 and Laserfiche Avante, a business process management solution custom designed for registered investment advisor and independent broker-dealer firms of up to 100 employees. Attendees will come away with new skill sets, knowledge, and advisor connections aimed at benefiting overall business practices. Paul T. Murphy, National Sales Director, Spire Investment Partners. 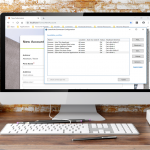 Presentations will focus on company case studies that demonstrate how electronic document management is used for regulatory compliance, customer account management, and business expansion. The speakers will discuss how using Laserfiche technology has enhanced their firms’ productivity and improved their return on investment. 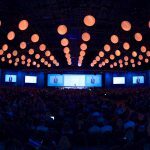 For a full schedule of exhibits, sessions and speakers, or to register for the 2009 Laserfiche Institute Conference, please visit the conference Website. Or, if you would like to learn more about Laserfiche and its suite of products, please visit www.laserfiche.com. Laserfiche creates simple and elegant document management solutions that help organizations run smarter. 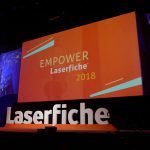 Since 1987, Laserfiche has helped more than 25,000 organizations—including state and local governments, financial services firms and healthcare organizations—streamline processes for managing documents, records and workflow.